Responding to a need for the small-but-devoted following for the 5th generation Honda Prelude, we developed a gauge pod with a vacuum forming partner. 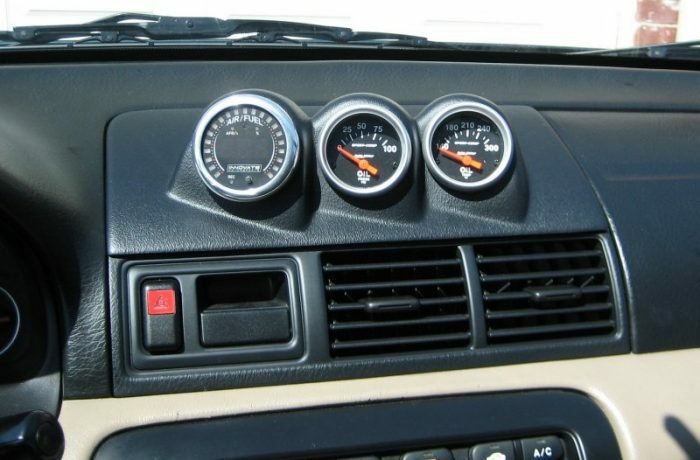 Many owners had wanted a gauge pod for aftermarket gauges, but very few existed, and none that would mount to the center of the dash and looked like factory equipment. We were able to provide a high-quality piece that fit just like the factory Honda center vent piece that it replaced. While made in low volumes, this piece was still affordable enough for the enthusiast market.